FILE - In this Feb. 14, 2018, file photo, Wisconsin Gov. Scott Walker, speaks to reporters in Madison, Wis.
Wisconsin Gov. Scott Walker said Tuesday that the powers of his Democratic replacement will remain among the strongest of any governor in the country, even if he signs bills fellow Republicans approved in a lame-duck legislative session. The lengthy Facebook post , where Walker praised the measures without saying whether he will sign them, is the clearest signal yet that the outgoing Republican governor is generally supportive of the bills restricting powers of the office. The post comes as Walker faces increasing pressure from Republicans , including a prominent donor and former governor, to veto the measures. Democratic Gov.-elect Tony Evers said over the weekend that he had made a personal plea to Walker to veto the bills but that the governor was noncommittal. Evers and other Democrats are weighing lawsuits to block some of the measures. The bills would limit early voting to no more than two weeks before an election; shield the state's job-creation agency from Evers' control until September; limit his ability to enact administrative rules; block Evers from withdrawing Wisconsin from a multistate lawsuit challenging the Affordable Care Act; and weaken powers of incoming Democratic Attorney General Josh Kaul. But Walker's Facebook post downplayed the scope of the measures the Republican-controlled Legislature passed last week, less than five days after they were introduced. "Let's set the record straight — the new governor will still have some of the strongest powers of any governor in the nation if these bills become law," Walker wrote. He noted that the new governor's broad veto power, including a line-item veto on budget bills, remains unchanged. Walker also highlighted the governor's ability to appoint members of his Cabinet and other positions, including judges, district attorneys and sheriffs. And, Walker said the governor's ability to present a two-year state budget and pardon convicted felons — something Walker has never done over his eight years in office — would remain unchanged. Walker delineated what he called "straightforward criteria" for deciding whether to sign the bills. That includes whether they improve transparency, increase accountability, affirm stability in government and protect taxpayers. In each category, Walker cited examples from the bills that he supports, such as requiring a report on who had been pardoned and requiring all money obtained from lawsuit settlements to be deposited in the state's general fund. Walker also said it "makes sense" to require legislative approval when the governor seeks a federal waiver. One bill would require that for any health care-related waivers, a new hurdle that Walker did not have to abide by — but he also worked closely with Republicans who controlled the Legislature all eight years he was in office. Evers will have to work with a Republican controlled Legislature at least his first two years in office. 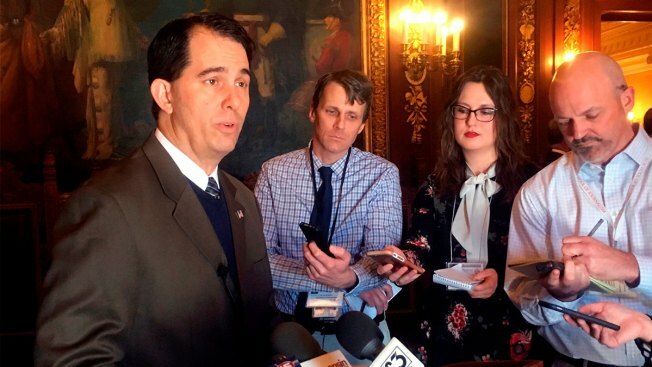 Walker was also on the defensive over the weekend, after former Republican Gov. Scott McCallum joined the call from conservatives for Walker to veto the bill. Others, including prominent GOP donor Sheldon Lubar and conservative commentator Charlie Sykes, have said Walker will tarnish his legacy by signing them. Walker issued a series of tweets on Saturday each beginning with "OUR LEGACY" where he spelled out his accomplishments in office, such as eliminating the state property tax and cutting college tuition. The bills will be automatically sent to Walker by Dec. 20 if he doesn't request them from the Legislature sooner. Walker hasn't responded to questions about whether and when he will call for the bills before Dec. 20. Once he has them, he has six days not counting Sunday to sign or veto them.